Giga Watt Hours, is a group of trained solar installations specialists with a wealth of experience in all types of solar installations. We operate out of Johannesburg, install anywhere in Gauteng and are dedicated to installing the most efficient energy saving products available on the market. We specialise in solar water heating and solar power (PV) and we offer gas installations for anything which requires gas to function. Our goal is to install a solar panel onto the roof of every house and business in Gauteng – a goal which is very possible thanks to the Eskom rebate which is offered on all of our solar water heating systems. We are an Eskom and SESSA accredited solar installer and each of our systems have been tested by SABS and have the SABS mark of approval. 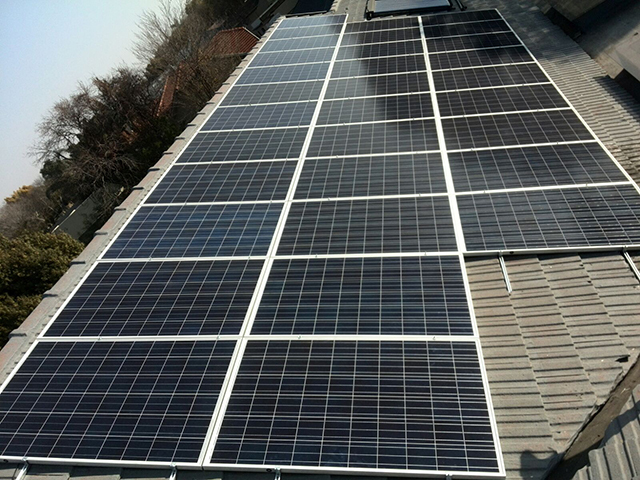 To enquire about your various options for switching to solar, take a look at the systems which we offer, or contact us so that one of our sales reps can assist you. Going green and saving money on energy costs has never been this easy. Whether it’s solar water heating,solar power (PV) or gas installations, Giga Watt Hours has a suitable solution to attend to your energy demands, while lowering your costs – putting more ‘green’ in your pocket.